There are vacation camps in Big Pine for children and adults that include Florida Keys reef trips and back country kayaking eco-tours as well as some of the best reef snorkeling in the Florida Keys on Looe Key, which is home to the annual Underwater Music Festival. There’s even a miniature gold course and a Key West sky diving center! Private fishing charters for back country flats fishing is also very popular in Big Pine and the Lower Keys. Big Pine also hosts the famous Florida, Bahia Honda State Park. Voted as one of the top ten beaches in the continental The United States, it includes fabulous Florida Keys seaside campgrounds for both tents and RV’s that are just steps away from the Atlantic Ocean’s water’s edge. Big Pine Key is located just below Marathon at 24°41′10″N, 81°21′40″W (24.686170, -81.360988). U.S. Route 1 (or the Overseas Highway) crosses the key at mile markers 29.5–33. BAsed on the United States Census Bureau, the CDP has a total area of 25.8 km² (9.9 mi²). 25.3 km² (9.8 mi²) of it is land and 0.5 km² (0.2 mi²) of it (1.81%) is water. The Big Pine Key island is home to the famous Key Deer population. Many precautions are taken to preserve as much Key Deer habitat as possible. A former abandoned oil well is located at the dead end of Long Beach Road. An old shark processing plant is found on the east side of the key, north of U.S. Route 1 called the Overseas Highway. Big Pine is a great place for weddingsfishing, boating, diving, scuba and snorkeling. As of the census of 2000, 5,032 people, 2,247 households, and 1,420 families were residing in the CDP. The overall population density was 198.9/km² (515.3/mi²). There were 3,153 housing units at an average density of 124.6/km² (322.9/mi²). The racial makeup of the CDP was 94.83% White, 1.09% African American, 0.50% Native American, 0.58% Asian, 0.02% Pacific Islander, 1.19% from other races, and 1.79% from two or more races. Hispanic or Latino of any race were 6.72% of the population. There were 2,247 households out of which 41.4% had children under the age of 18 living with them, 43.8% were married couples living together, 5.7% had a female householder with no husband present, and 6.8% were non-families. 26.0% of all households were made up of individuals and 7.8% had someone living alone who was 65 years of age or older. The real estate average household size was 2.21 and the average family size was 2.63. In the CDP the population was spread out with 16.8% under the age of 18, 4.3% from 18 to 24, 30.3% from 25 to 44, 33.7% from 45 to 64, and 14.9% who were 65 years of age or older. The median age was 44 years. For every 100 females there were 110.4 males. For every 100 females age 18 and over, there were 111.6 males. The median families income for a household in the CDP was $44,514, and the median income for a family was $47,639. Males had a median income of $31,552 versus $28,021 for females. The per capita income for the CDP was $23,169. About 5.6% of families and 9.5% of the population were below the poverty line, including 17.4% of children under age 18 and 7.0% of those age 65 or over. The primary super market grocery store is the Winn-Dixie, located in a convenient shopping center just north of US-1. This same shopping center also contains a Chinese restaurant, a Beall’s Outlet, the visitor’s center for the Key Deer Refuge, plus a branch of the Monroe County Library (with WiFi internet access). A new CVS pharmacy is located along US-1, and has a good selection of just about anything a visitor and local could need. A small hardware store in this same area sells typical paints, hardware, tools and all other goods needed to build/repair items around the home. They also carry a limited selection of parts for boat repair. So feel free to bring your boat! Several bars and restaurants are available along US-1, the main road to Key West Florida and the world famous No Name Pub is located near the bridge to No Name Key in the North East part of the island. The nearest major city is Marathon which is not far from Islamorada, approximately 23 miles (37km) “north” on US-1 on the other side of the seven mile bridge. Key West, a major shopping and cultural hub for the overall area, is about 30 miles (48 km) “south” on US-1. Vacation accommodations are limited in Big Pine, though RV/camping and a limited number of motel units are also available and so are deals at the Big Pine Key Fishing Lodge on the far Southeast side of the island for families looking for adventure but on a budget . Little Torch Key is an island in the lower Florida Keys. U.S. Route 1 cuts through the key at about mile markers 28 through 29. It is immediately preceded to the northeast by well known Big Pine Key, and is followed by Middle Torch Key to the southwest. A relatively small island located 24 miles from Key West, Florida, Little Torch Key is the home primarily to locals, living and working families from Big Pine Key to Key West. The tropical island is also host to seasonal visitors who don’t mind a short commute to the popular destination of Key West. There are a few, but not many small businesses on the island, including restaurants and lodging. Similar to all of the keys in the Torch Keys, this key was probably named for the native torchwood tree, Amyris elemifera L. The northern end of the key is the historic site of a former settlement which was abandoned in 1938 when the old highway was relocated. The island’s claim to fame is as a frequent fishing destination for the popular U.S. President Harry S. Truman. The Torch Keys are made up of three islands in the lower Florida Keys, consisting of the islands called Little Torch Key, Middle Torch Key, and Big Torch Key. Little Torch Key is the most populated of all three. The name’s roots originated after the torchwood tree that, when burned, produces fantastic hallucinations to those who breathe in the smoke. The Torch Keys are be found just to the west of Big Pine Key, or about 24 miles due east of Key West, the county seat for The Florida Keys. Ramrod Key is a tropical island in the lower Florida Keys. Originally named Roberts Island, Ramrod Key was renamed for a ship named the Ramrod, which was wrecked and sunk on a reef jsut south of there in the early 19th century. Until the time that Henry Flagler built road U.S. 1 also known as The Overseas Highway, the only building on Ramrod was a post office that was located along the side the railroad tracks. Today, it’s now a popular tourist site due to the short distance from the island and Looe reef. Some of the exciting things that you can find on Ramrod Key are, the 5 Brothers 2 store, the Boondocks bar and miniature golf putt-putt course, and the Looe Key Resort.U.S. Route 1 cris-crosses Ramrod Key at approximately mile markers 26–27.5. Summerland Key is a bedroom community located almost mid-way between the “larger” cities of Marathon and Key West. 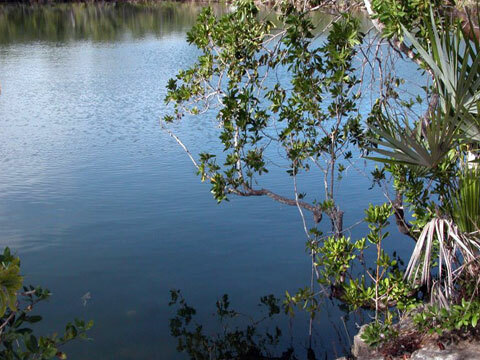 It is home to the well known Brinton Environmental Center of the Florida National High Adventure Sea Base. Also located on Summerland Key is a modern field station for world famous Mote Marine Laboratory. A private, 2550-foot community private airstrip (FD51)can be found just south of the Overseas Highway along West Shore Drive at mile marker 25 – Lat: N 2439.5 Long: W 08126.5 Elev: 4 . Beginning back in 1948 when Henry Hudgins, the father of modern Summerland Key, started developing Summerland from an unihabited tropical wilderness to a modern, upscale residential neighborhood. Although Hudgins was the chief structural engineer for the City of Miami, he teamed up with Waren Niles, whose family owned a large portion of Summerland since the early 1900s. Then, in 1941, the NIles family told Hudgins that they were considering selling their Summerland property. In 1947, Hudgins had made an offer of $100,000 to purchase the Niles property and the family sold their Summerland real estate holdings to Hudgins. The fall of 1948 brought two hurricanes that hit the Lower Keys with severe tidal surges that rose six feet and caused much widespread flood damage to the region. After that, Hudgins saw the high water mark on Summerland and he decided that new homes built in his development would have to be elevated. He then purchased two military surplus buildings and had his construction crews secure them atop telephone poles at the base of what is Dobie Street today. This was the Hudgins family’s first home built on Summerland Key and also one of the very first homes in the Florida Keys on stilts. Modern building codes today require that all new homes be built elevated to be above the floodplain. Hudgins drew up the plans for streets and canals used for the development and began the dredging operations to make the canals. Dissatisfied with the results of the initial dredge, Hudgins developed a newer technique that was later used for digging all of the man made canals of the Keys. During the development of Summerland Key, the closest post office was located on Ramrod Key and had been there since 1919. After many years of serious effort to get a new post office on Summerland, Hudgins got his chance. After the postmaster of the Ramrod post office retired, she suggested that it be moved to Summerland and Hudgins was named the new postmaster. Hudgins’ wife Mary learned to fly a plane and kept it in Marathon. After meeting Philip Toppino of The Toppino Brothers construction on Rockland Key, who also liked flying, Toppino suggested that Hudgins construct an air strip on Summerland Key. Around 1956, Hudgins and Toppino formed a joint partnership and developed a portion of Summerland, named Summerland Cove, with a air strip flanked by homes on both sides and canals behind the homes. As property began to sell with-in his development, Hudgins moved his family to a small new wooden home on Center Street to be closer to the post office, The home still stands there today. In the late 1950s, Hudgins purchased more property to build his dream home, Hermitage, on property facing Niles Channel that once was owned by the Garibaldi Niles homestead. Designed by Hudgins, the home sat on concrete pilars with a beautiful porch facing the channel. The home was designed to withstand 150 mph hurricane force winds and Hermitage still stands today. Hudgins was only able to enjoy his creation for a few years, he died in 1962. Lasting legacies to Hudgins include his famous airstrip off West Shore Drive, Henry Street (named for him), Dobie Street (named for his second wife), and Hermitage — Hudgins dream home on Niles channel. 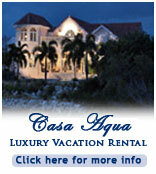 Cudjoe Key is an island of the same name located in the lower Florida Keys. Quite possibly named for the Joewood tree (Jacquinia keyensis Mez), a native species which is also known as cudjoewood. A likely derivation for the name is provided by writer John Viele of Summerland Key. He believes that Cudjoe, which is a common West African name, was the original name of a runaway or freed black who lived on the small island at some point prior to Gerdes’ survey in 1849. U.S. Route 1 crosses the key at approximately mile markers 20.5–23, between Summerland Key and Sugarloaf Key. According to the United States Census Bureau, the CDP has a total area of 14.6 km² (5.6 mi²). 13.6 km² (5.2 mi²) of it is land and 1.0 km² (0.4 mi²) of it (6.93%) is water. As of the census of 2000, there were 1,695 people, 799 households, and 541 families residing in the CDP. The population density was 124.9/km² (323.6/mi²). There were 1,482 housing units at an average density of 109.2/km² (282.9/mi²). The racial makeup of the CDP was 96.22% White, 0.88% African American, 0.47% Native American, 0.88% Asian, 0.12% Pacific Islander, 0.71% from other races, and 0.71% from two or more races. Hispanic or Latino of any race were 5.66% of the population. There were 799 households out of which 15.6% had children under the age of 18 living with them, 62.0% were married couples living together, 3.4% had a female householder with no husband present, and 32.2% were non-families. 21.7% of all households were made up of individuals and 7.8% had someone living alone who was 65 years of age or older. The average household size was 2.12 and the average family size was 2.43. In the CDP the population was spread out with 12.2% under the age of 18, 3.7% from 18 to 24, 27.1% from 25 to 44, 38.8% from 45 to 64, and 18.2% who were 65 years of age or older. The median age was 48 years. For every 100 females there were 108.2 males. For every 100 females age 18 and over, there were 109.4 males. The median income for a household in the CDP was $57,500, and the median income for a family was $59,883. Males had a median income of $36,094 versus $31,250 for females. The per capita income for the CDP was $27,085. About 4.4% of families and 5.8% of the population were below the poverty line, including 5.7% of those under age 18 and 5.4% of those age 65 or over. Sugarloaf Key is about 15 miles east of Key West and is located between Park Key and Cudjoe Key. U.S. Route 1 crosses Sugarloaf Key at approximately mile markers 17–20.5. Its former names were Glen Island and Perkey. Because of its’ loop shape it is sometimes referred to as two separate Keys; Sugarloaf Key and Lower Sugarloaf Key, separated by Upper Sugarloaf Sound and Park Key. It is thought to have been named Sugarloaf because of either an Indian mound there on the east side of (upper) Sugarloaf Key, north of the present highway was said to look like an old-fashioned loaf of sugar, or for the popular sugarloaf pineapples that were once grown in the area. It is the upper portion of one large island. The island is “U”-shaped, with Upper Sugarloaf Sound and Park Key at its’ center. Although larger in area than Lower Sugarloaf Key, it is less densely populated. The upper portion of the island has a new public school, a church, a restaurant, and the KOA campground. The lower portion of the island (Lower Sugarloaf Key), although smaller in area, is more densely populated and is also called Sugarloaf Shores. It has Sugarloaf Lodge and restaurant, an airport, a volunteer fire department, and the famous Sugarloaf Key bat tower, built in 1929 and listed on the National Register of Historic Places. The tower was built based on the Hygiostatic Bat Roost plans of Dr. Charles Campbell, an early pioneer of bat studies, by a man named Perky to control the mosquito (and hence malaria) problem in the Lower Keys, but reportedly, when the bats were put in, they flew away. Mr. Perky intended to found a city named after himself, but did not succeed due to the local mosquitoe and malaria problem. There is also an Ultralight flight service that will take visitors and tourists up for a breataking view of the surrounding tropical waters on a real adventure.